In six short paragraphs, Sundar Pichai shows us how to respond to a crisis--and demonstrates how much words matter. The 10-page manifesto, which argues (among other things) that women on average are have a "lower stress tolerance" and are more prone to "neuroticism" than men. These traits are due to fundamental "biological differences" and make men and women better suited for different kinds of jobs. Most would acknowledge that men and women differ fundamentally in certain areas, that's true. (I strongly disagree with the conclusions the author derives from that, however.) And the author may have a point when he says the company "has created an ideological echo chamber where some ideas are too sacred to be honestly discussed," due largely to a "shaming culture and the possibility of being fired." One thing is certain: This manifesto has sparked very strong emotions on both sides of the issue. Which is exactly why I feel Google CEO Sundar Pichai's response is such a great response. "First, let me say that we strongly support the right of Googlers to express themselves, and much of what was in that memo is fair to debate, regardless of whether a vast majority of Googlers disagree with it. However, portions of the memo violate our Code of Conduct and cross the line by advancing harmful gender stereotypes in our workplace. Our job is to build great products for users that make a difference in their lives. To suggest a group of our colleagues have traits that make them less biologically suited to that work is offensive and not OK. It is contrary to our basic values and our Code of Conduct, which expects "each Googler to do their utmost to create a workplace culture that is free of harassment, intimidation, bias and unlawful discrimination." The entire email is six short paragraphs. (You can find it in full at the end of this piece.) Here are just a few things that make it an outstanding lesson in leadership. Incidents like this one have the propensity to blow up extremely quickly, doing lots of irreparable damage. It's probably Pichai had help forming his response, but the fact that he thoughtfully addressed multiple issues in such a short time is pretty remarkable. Pichai recognizes that "many points raised in the memo--such as the portions criticizing Google's trainings...are important topics" and that "the author had a right to express their views on those topics." Because most criticism is at least rooted in truth, and these types of insights can lead to genuine improvement. Further, it helps you to address blind spots and understand alternate perspectives. By acknowledging that "much of what was in that memo is fair to debate, regardless of whether a vast majority of Googlers disagree with it," Pichai attempts to encourage dissenting opinions--and follows in the footsteps of some other notable CEOs. "I'd encourage each of you to make an effort over the coming days to reach out to those who might have different perspectives from your own," says Pichai. "I will be doing the same." The issues that the memo has brought up were years in the making. A quick (initial) response was necessary, but these problems won't be solved overnight. Pichai addresses the emotional pain experienced by a number of employees, who "shouldn't have to worry that each time they open their mouths to speak in a meeting, they have to prove that they are not like the memo states, being 'agreeable' rather than 'assertive,' showing a 'lower stress tolerance,' or being 'neurotic.'" "At the same time, there are co-workers who are questioning whether they can safely express their views in the workplace (especially those with a minority viewpoint)," he writes. "They too feel under threat, and that is also not OK. People must feel free to express dissent." But this is where the author went wrong; it's impossible for people to be "emotionally unengaged." Rather than suppress our emotions, we need to find a way to embrace them and make them work for us, instead of against us. By attempting to see both perspectives, Pichai gets this right. As you may have heard, the author of the memo has reportedly been fired by Google, reportedly for violating the company's code of conduct. 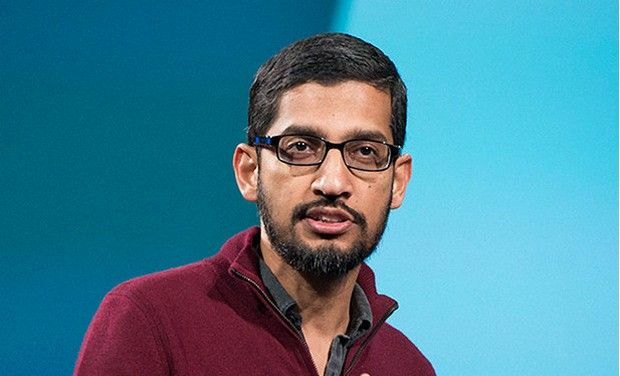 This single action will make it exceedingly difficult for Pichai to live up to his words, namely, that Google continues to encourage people to express dissenting views, without fear of losing their jobs or experiencing other retaliation from the company, or their colleagues. Notably, the subject line of Pichai's email to Google employees was "Our words matter." And he's absolutely right.